The Forest Park Carousel in Forest Park, Queens. Image Credit: LPC. Forest Park Carousel is one of two remaining examples of the work of German immigrant wood-carver. 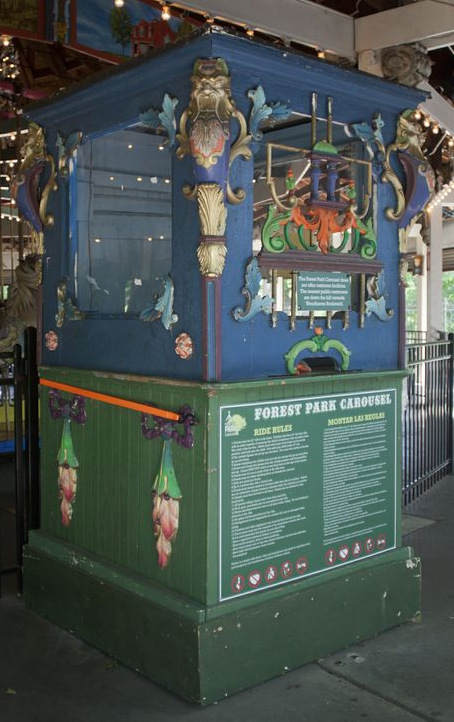 On June 11, 2013, the Landmarks Preservation Commission held a hearing on the potential designation of the Forest Park Carousel in Queens’ Forest Park as an individual City landmark. The original carousel at the site burned in 1966. The current carousel, built in 1903, was located and purchased from a Connecticut architect in 1971. The carousel again closed in 1985, and was restored in 1990. Murals by Queens artist Jonathan Lev were added in 2002. All but three of the carousel’s 52 figures are believed to have been carved by the Philadelphia-based wood-carver Daniel Muller. A German immigrant, Muller trained at the Pennsylvania Academy of the Fine Arts, and is thought to have crafted figures for twelve carousels in his lifetime, of which the Forest Park Carousel is one of only two that remain. The other remaining carousel is in Cedar Point, Ohio. No date has been set by Landmarks for a vote on designation. 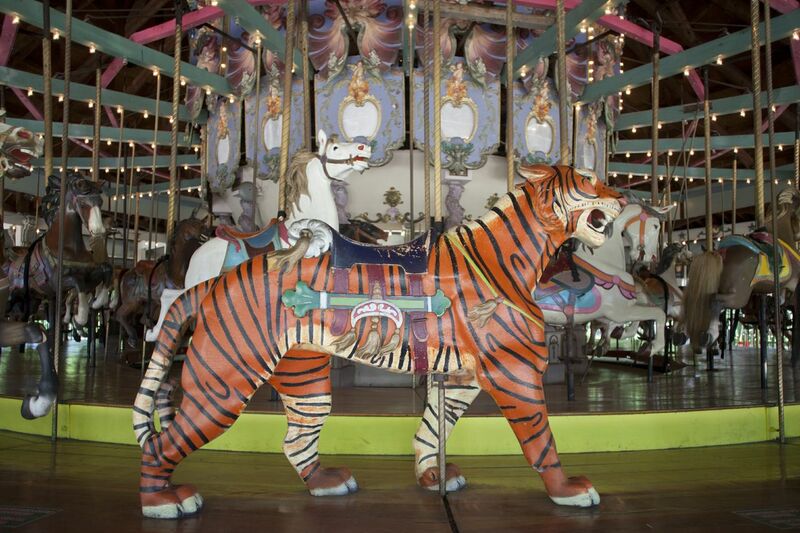 Update (6/26/13): The Carousel came before Landmarks again on June 25, 2013 for a vote on designation. Chair Tierney noted that the carousel was a very different type of structure than the vast majority of individual landmarks, and the commission entered into the consideration carefully. Tierney determined however, that the unique qualities of the carousel merited the exceptional step, and recommended a vote for designation. Commissioner Fred Bland found the carousel to represent an “extraordinary historical connection with the past,” as did Commissioner Michael Goldblum, who called it “a completely compelling artifact of an earlier era.” Commissioner Michael Devonshire found the carousel to be “a work of art,” and commended Parks for their support of designation and willingness to maintain the landmark. Commissioners voted unanimously to designate the carousel. LPC: Forest Park Carousel, Forest Park, Queens (LP-2528) (June 11, 2013).